Last school year I would dedicate Wednesday's to sharing a Wiki or a few Wikis that I thought were of value. Looking back, it has been almost 11 months since I did a Wiki Wednesday post, so I guess I have a lot of catching up to do. So I present 10 Wikis that I have recently discovered that I think are worth sharing. 1.) First Day - We all have our First Day of School routines. The question is how many have activities for the content area that they teach? This wiki provides some interesting ideas for First Day of School Activities. Worth looking at. 2.) Project Elite Wiki is specific for Librarians. With the advances in technology there is a fear (and in some states a reality) that librarians will soon be removed or replaced in schools. The purpose of this Wiki is to encourage technology use by Librarians. It is important to be able to present yourself with additionally abilities, and this Wiki is a great starting point for Librarians. 3.) iPods, iPhones, and iPads in Education is a great homepage for all you need to know about integrating iTechnology into the classroom. Several resources as well as descriptions of apps for various subject matter. 4.) Open Source Graphics and Visualization Tools is a wiki providing links to web based resources that provides ways to create, share, and edit graphics and visuals. Very well organized. 5.) Paperless Posters is a wiki all about Glogster. 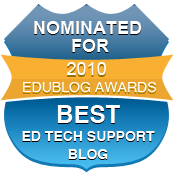 You will find helpful tips, samples, and ideas for using Glogster in the classroom. A helpful link for learning how to use the website and worth sharing with teachers who are interested in using the site. 6.) Backchanneling Wiki is a one stop shop for all things backchanneling. The idea of communicating with students through a backchannel is gaining a lot of steam. This wiki provides links to web-based applications, ideas for use, and links to other resources about backchanneling. 7.) Educational Wikis is all about how to use Wikis in education and it provides various links to articles, tips, ideas, and other resources for using Wiki's in education. 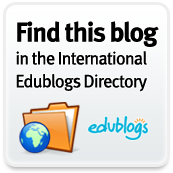 You will also find 100's of examples of educational wikis being used by teachers across the world. They are listed in alphabetical order.....wow! 8.) Cool Tools for Schools is a great starting point for finding Web 2.0 based resources to use in the classroom. Each resource is linked by category and provides a short description for them all. 9.) Book Leads is a Wiki all about books. There is information about authors, information for librarians, information about eBooks, as well as Young Authors. A valuable resource for Librarians and English teachers. 10.) Student Innovation is a wiki that has the single purpose of sharing how students are using technology to create innovative projects and how as teachers, we need to be sharing what our students are doing with others. Although this Wiki is still a work in progress; I believe with all the great things that teachers are doing out there, that this will grow rather fast. I am a graphics guy. I think teaching with graphs, charts, infographics, etc makes learning material more interesting. I came across the site Better World Flux which provides interactive visualization of information on what really matters in life. Indicators like happiness, life expectancy, and years of schooling are meaningfully displayed in a colorful flowing Flux. Better World Flux visually communicates the world state in terms of standards of living and quality of life for many countries and how this has changed, and mostly improved, over a period of up to 50 years. This site is a tool for building a consensus, telling a story and sharing it, all whilst raising awareness for the UN Millennium Development Goals. When viewing the data you can look at individual countries or you can look at the world averages with all the countries included. For students completing geography projects over countries, this would be a valuable resource. I could also see this being used in other social studies classes as well. You can look at the data change over time as well, at least from when data was made available. You can customize your own data sets and combine them as well. You can see an image sample of the data graphic below as well as a video that shows how to use the website.